As I promised to you, I am presenting the rest of my photos from my USA trip. I hope you will like it. The Statue of Liberty is maybe the most famous symbol of New York. Maybe not so many people know that it was built in France. It was a gift for Americans from Frenchmen. 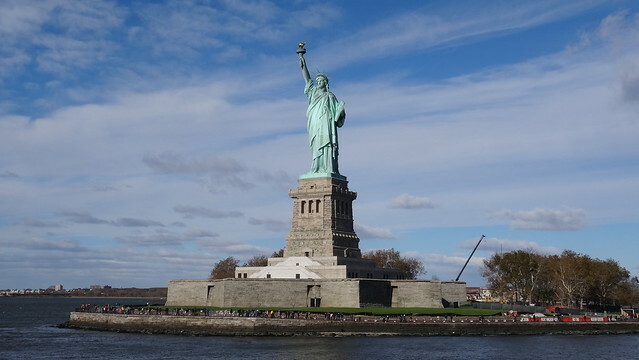 The statue is on Liberty Island and you can go there easily by a ferry. 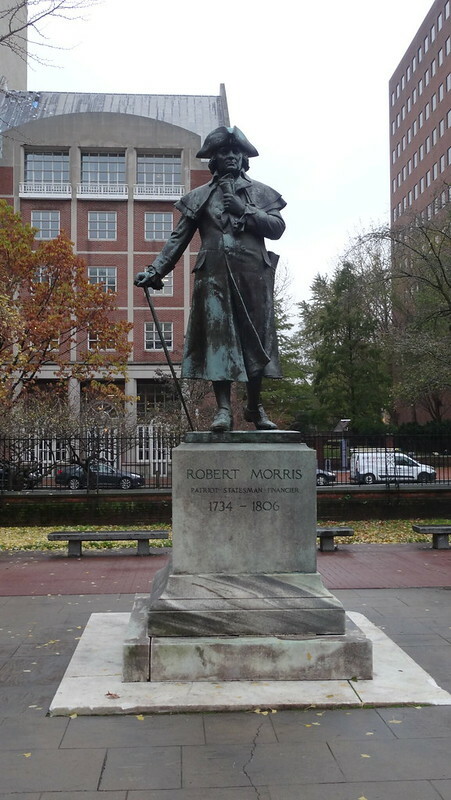 You can buy tickets to a pedestal of the statue and it is also possible to go on a top of the statue but it is necessary to buy a ticket in a several months advance. This is a view from the pedestal. 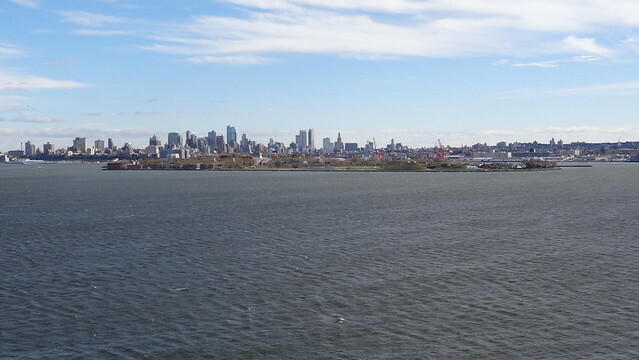 If you think that a wind is cold and strong on the ferry, it is nothing comparing to the wind on the pedestal. But of course, it is 40 meters high. 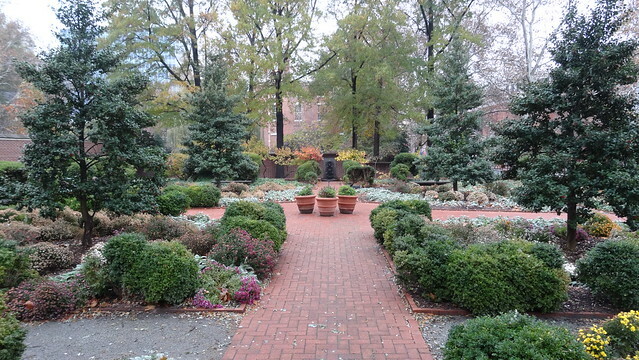 Then you can go the Ellis Island to Museum of Immigration. You can there, for example, check if some of your ancestors immigrated to America. 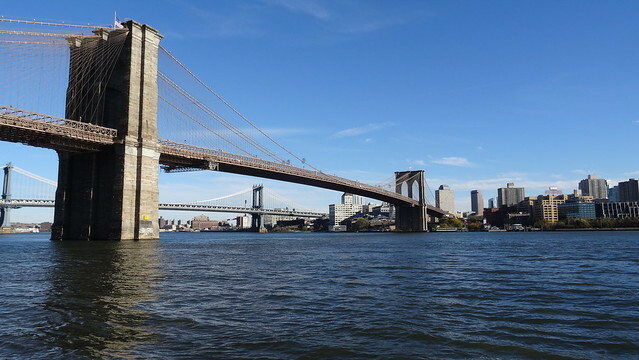 Manhattan is connected with Long Island by two beautiful bridges – Brooklyn Bridge (the closer one on the photo) and Manhattan Bridge. You can walk across both of them. 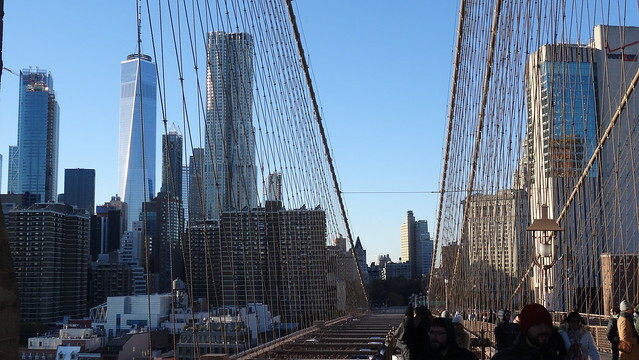 First time I walked over Brooklyn Bridge. There is a nice walk path over it. This is a view of Manhattan from the beginning of the path. This is little further. You can see iron ropes which are parts of the construction of the bridge. This photo is really from New York, despite it looks like a photo of Arc de Triomphe in Paris. 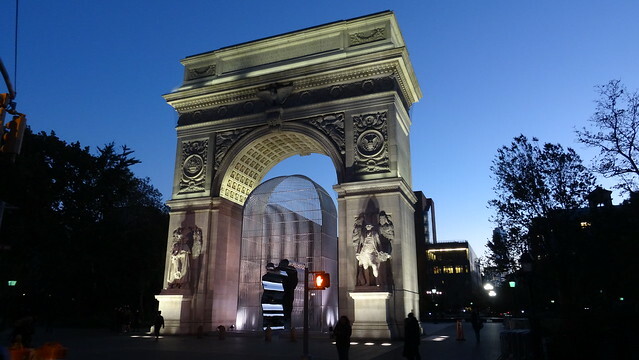 It is Washington Square Arch. 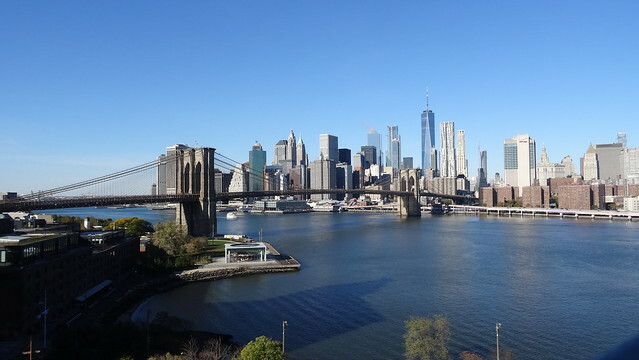 The next day I went from Brooklyn to Manhattan over the Manhattan Bridge. 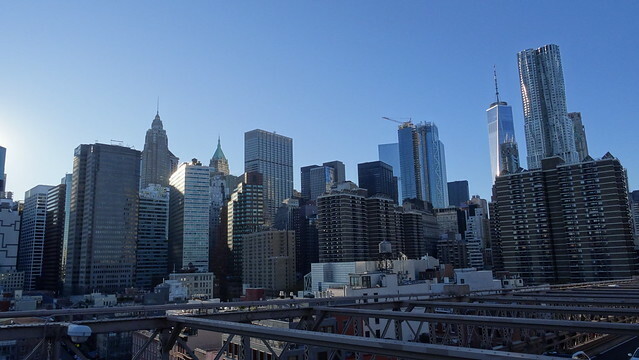 The view of Manhattan from this bridge is really amazing. 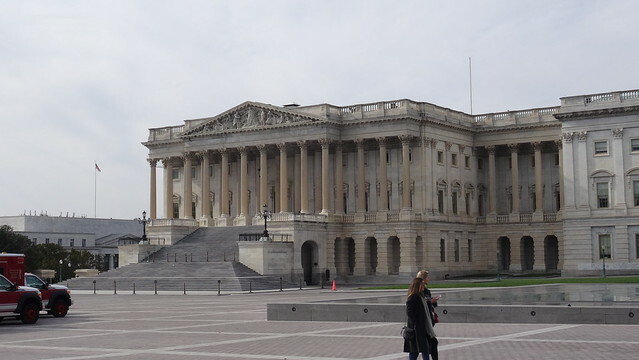 That was the last photo from New York because I went to Washington in the afternoon. It is a shame that I didn’t have time to see many interesting places – National Museum of Mathematics for example. But I take it as a reason to visit New York once more. 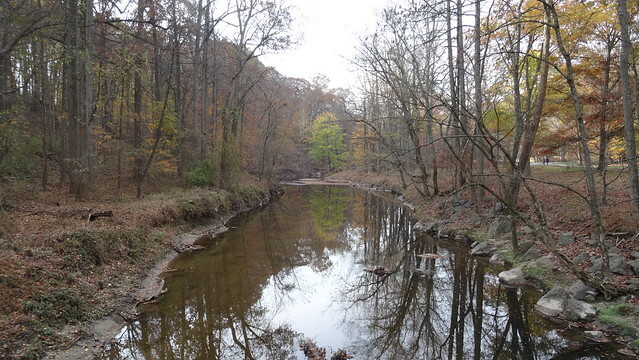 Washington also has an amazing park close to the centre. 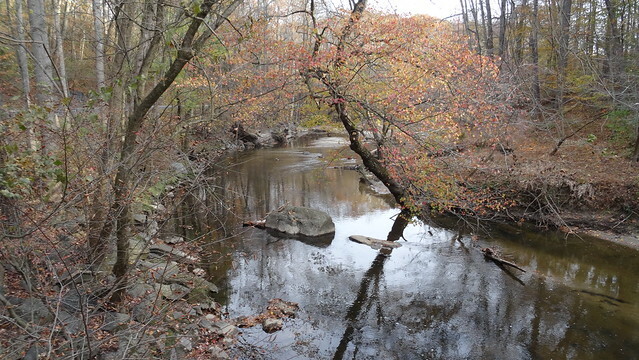 It is called Rock Creek Park. It is far less famous than Central Park. I must admit that I hadn’t heard about it before my trip. But it’s also really beautiful. 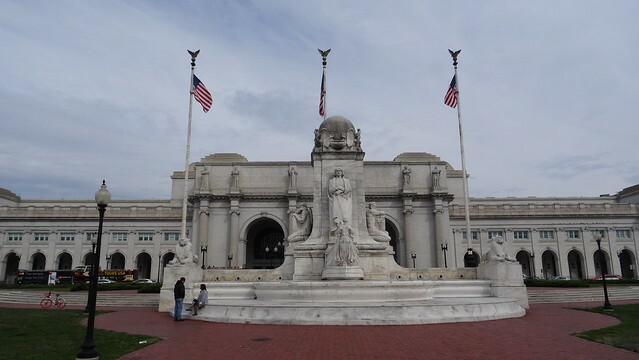 This is a monument in front of Union Station – the main railway and bus station of Washington. 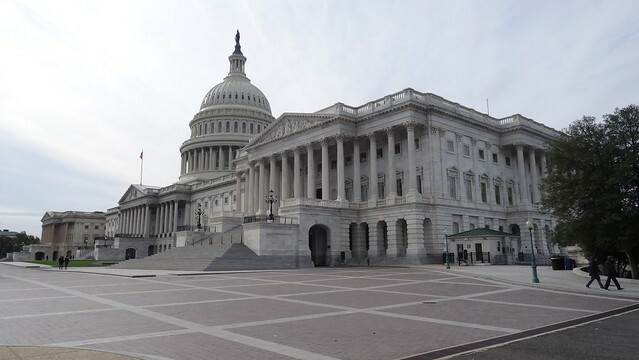 The United States Capitol is (with White House) symbol of Washington. An almost every time we see a reporter in news speaking from Washington, he has The Caption in the background. 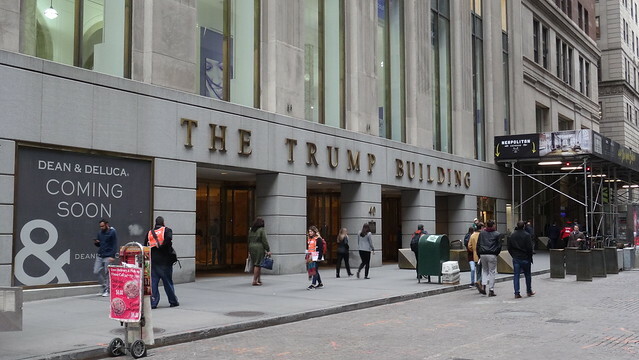 The building is really extremely large and impressive. 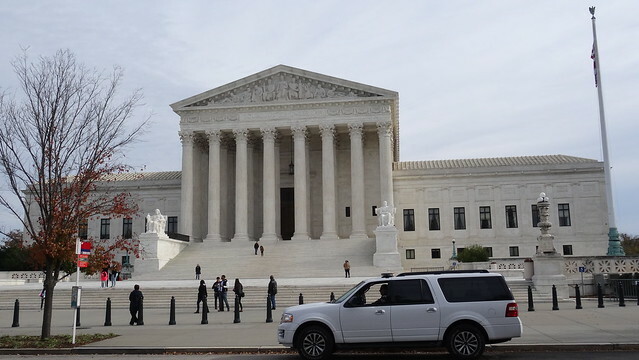 If you want to see the Supreme Court of the United States, just cross a road in front of the Capitol. Just make sure you are crossing over a zebra crossing. Otherwise, you will be admonished by a policeman as I was. 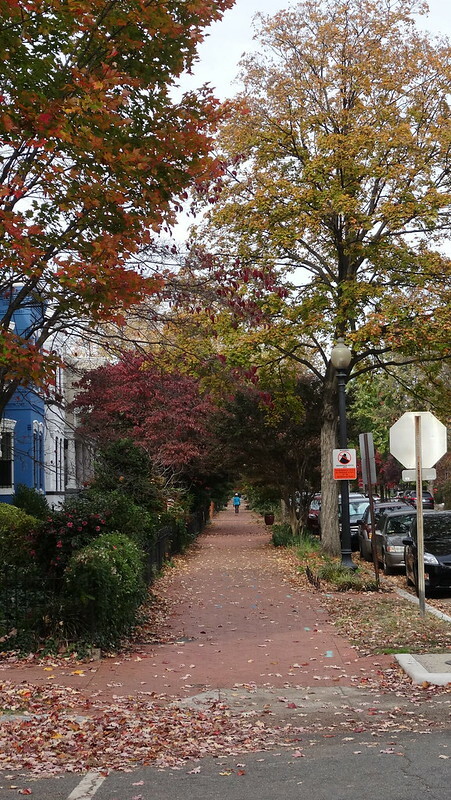 This is how a typical Washington street look likes – I really liked lines of trees between houses and roads. 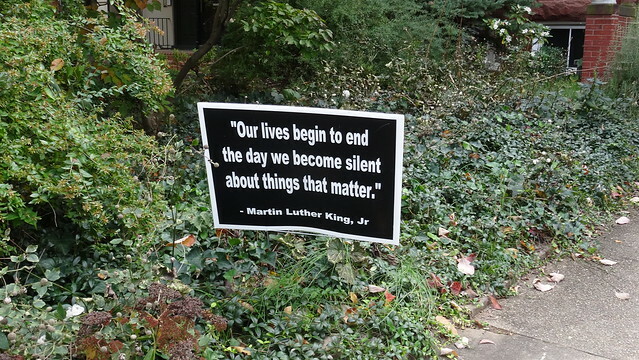 Quotations of Martin Luther King on black notices are very common in Washington – plenty people have them in gardens in front of their houses. 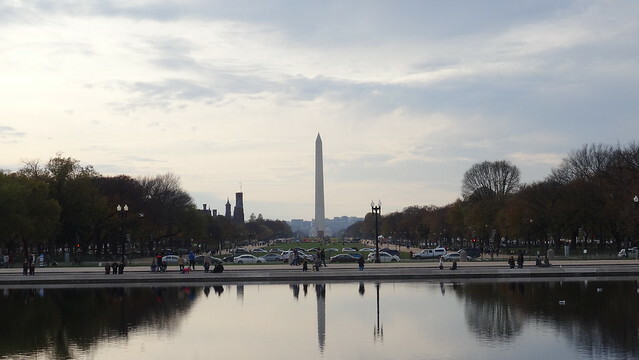 The Washington Monument had been wor’s tallest structure till 1889. It is 169 meters high and also very impressive. 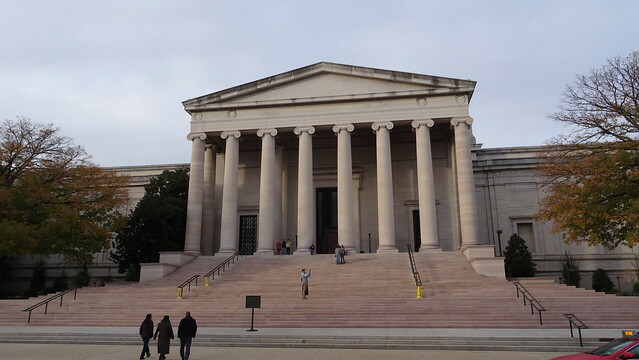 Another building with large and tall grey columns National Gallery of Art. There are a lot of beautiful painting in the gallery and entrance is for free. 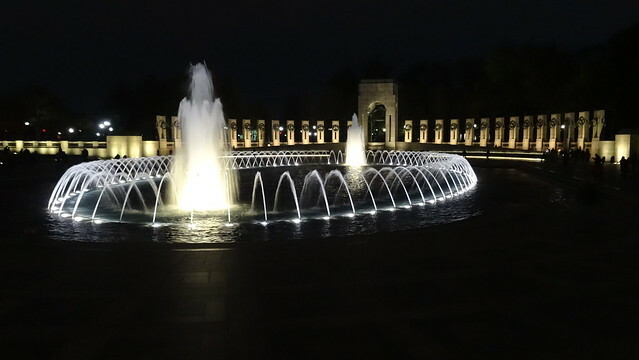 I would recommend you to visit the National World War II Memorial at night. Lights, a fountain and columns in the background create a very unique experience. 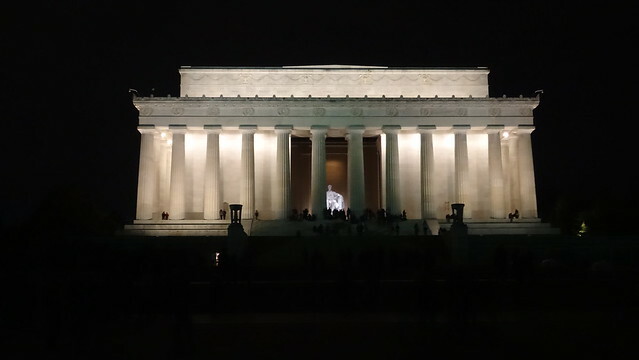 This place reminds another important American presient – it is the Lincoln Memorial. 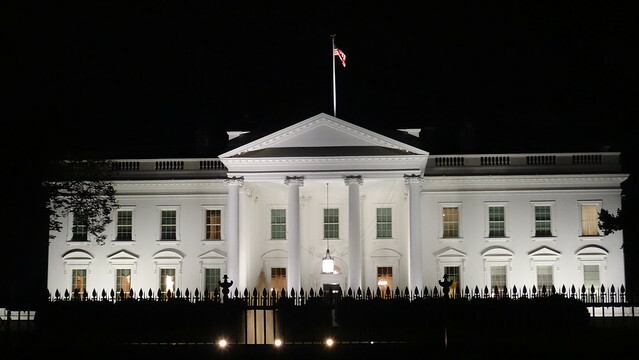 And, of course, this is the White House. 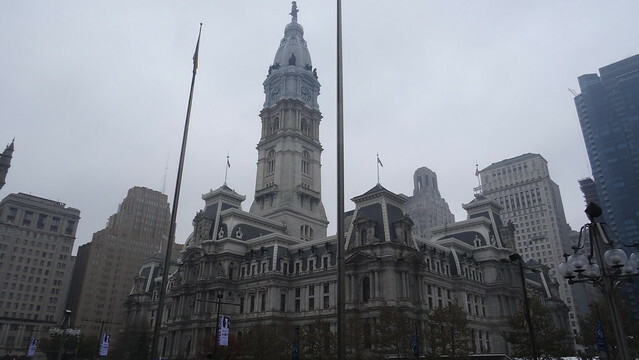 And finally, few photos from Philadelphia. 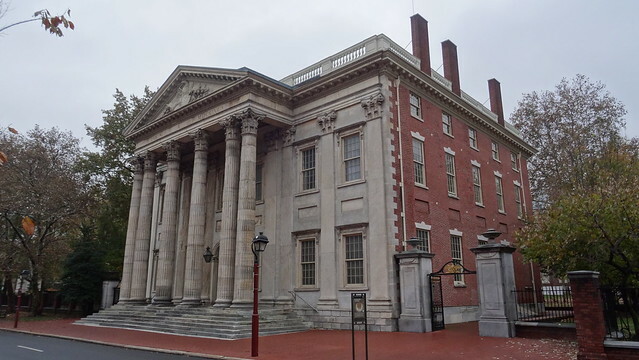 This is the City Hall. And here is rest of my photos. I’ve planned extremely little time to spend in Philadelphia. I am definitely planning to visit this amazing city once more because this time I missed a lot of interesting and important places. I made a trip to the USA from 6th to 15th November 2017. Here you can see some photos from my trip with short comments. Because I have made a lot of photos and I would like to share a lot of them with you, I split the article into two parts.You can find all my photos in my Flicker album. 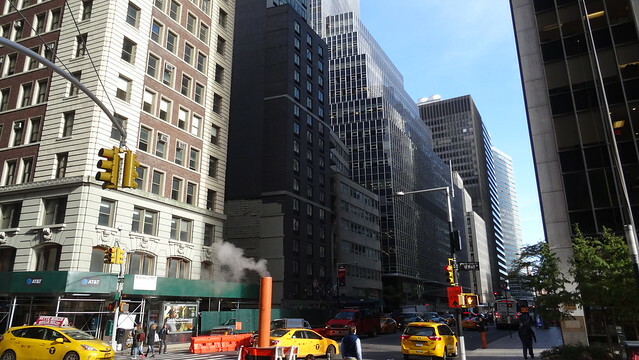 This is my first view of Manhattan after exiting the subway on Wall Street station. 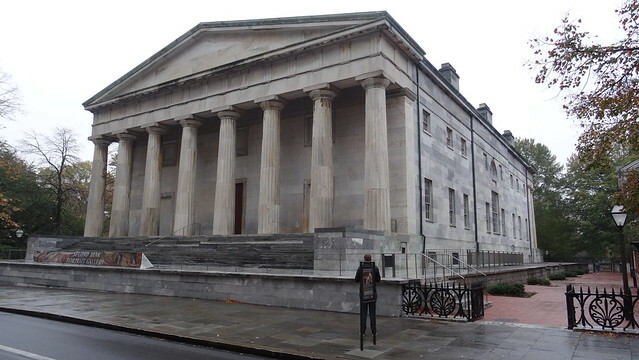 Federal Hall – one of the important buildings in American history. 9/11 was also a key point of history for the whole world. 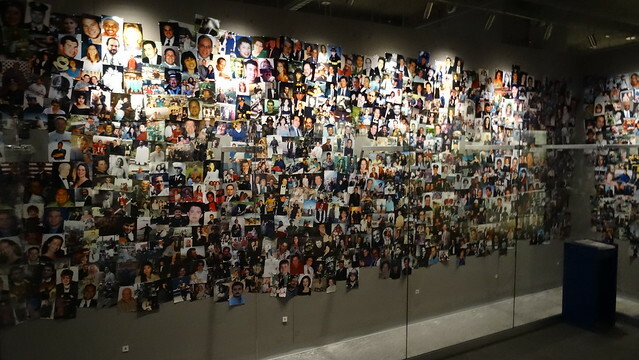 You can find a lot of information about this event in 9/11 museum. Just keep in mind it is a sad exhibition about tragic the event. 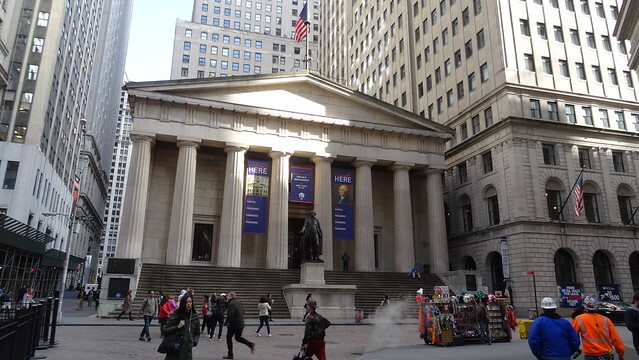 I knew about The Trump Building, but I didn’t know it is just next to Federal Hall.